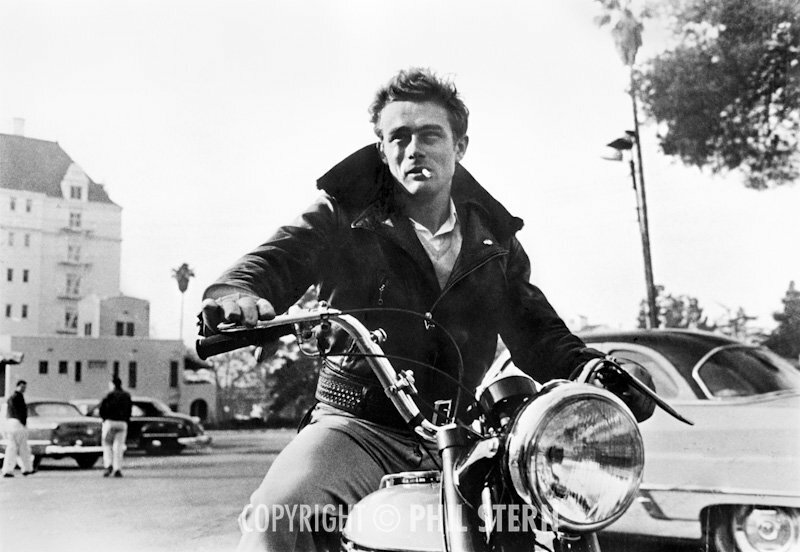 61 years ago this September 30, newly-minted movie star James Dean, with an ace Porsche racing mechanic riding in the passenger seat, wrecked his brand-new Porsche Spyder on a remote northern California highway, bringing to an end his own turbulent 24-year-old life. 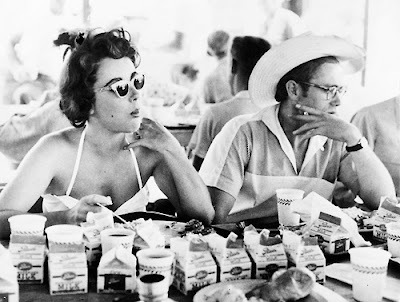 The gone-too-soon Hollywood rebel instantly became a cult phenomenon and, over the six decades since, his story has become and remained legend and been the subject of countless books. Today the Chicago Review Press will release the latest, The Real James Dean: Intimate Memories from Those Who Knew Him Best. 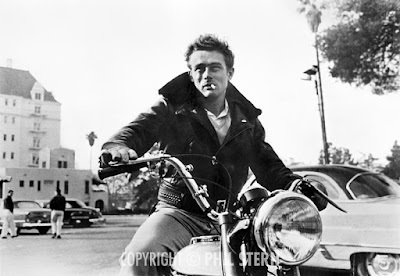 Edited by Peter L. Winkler, author of a bio on Dennis Hopper, an actor who knew and idolized Dean, The Real James Dean is a compilation of previously published material gleaned from magazines, newspapers and autobiographies, all mostly long out of print. Though the collection includes a few publicity-office-generated pieces from fan magazines like Modern Screen and Photoplay, there are many compelling accounts from personal friends, lovers, stage and film actors and the directors of his three major films: Elia Kazan, Nicholas Ray and George Stevens. Raymond Massey, who portrayed Dean's father in his break-out film, East of Eden (1955, Elia Kazan), recounts his frustration and losing his temper on the set while working with the young "Method" actor. Shelley Winters recalls driving through Hollywood one night with her friend, Marilyn Monroe, as Dean, on his Triumph TR5 Trophy motorcycle, recklessly circled her car at high speed, terrifying both women. Jim Backus, who played Dean's father in Rebel Without a Cause (1955, Nicholas Ray), describes Dean preparing for a dramatic early scene by "sitting in his darkened dressing room with a record player blasting out the Ride of the Valkyries, and drinking a quart of cheap red wine." The memories collected in The Real James Dean reflect the views of those who found him a beautiful, talented and kind fellow as well as those who thought him eccentric and "impossible." The general impression that emerges from these recollections is of a volatile, sensitive young man deeply committed to becoming artistically and materially successful through his craft. But one cannot escape the belief that he was emotionally ill-equipped to handle the immensity of the fame that loomed ahead. 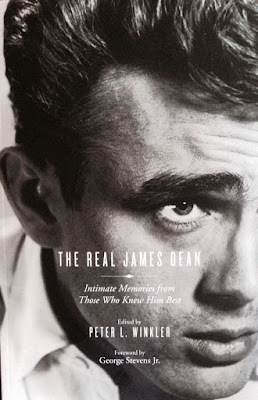 On Saturday, August 6, at 2pm PDT, a random drawing for a copy of The Real James Dean: Intimate Memories from Those Who Knew Him Best will be held. Entrants must live or have a shipping address in the U.S. or Canada and should enter by email to ladyevesidwich@gmail.com. Please include your name, mailing address and contact information. The winner will be notified - and the book shipped - immediately. Congratulations to Christina of Ontario, Canada, the winner in our random drawing for a copy of The Real James Dean! And thanks to all who participated. My thanks to the Chicago Review Press for a review copy of this book. The legend remains when the actual star dies so young. He would have evolved into something truly amazing I think, but as an actor, and not as someone who could compete with a legend. Thanks for letting us know about this new book Lady Eve. He absolutely had the potential for greatness, Christian. I have to say, though, after reading this book it's hard for me to believe he'd ever have lived long enough to realize that potential. He seemed to have a penchant for defying death. I have 2 books of JD imported from the States. This new one I have to ask my friend to buy it for me then. My oldest brother was the one who glued me to JD when I was in my grade school days. Hernan, You could also ask your friend to enter the drawing I'm hosting here and take a chance on winning a copy of the book for you. Thanks for stopping by and commenting. Hello! 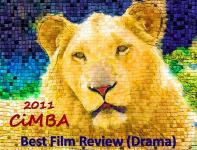 I would love to have you guest posting at MovieFanFare again. What is a good e-mail address to get in touch with you at?